Intel i7-6500U dual-core processor with an NVIDIA GeForce GTX 940M 2 GB GPU. This review will cover the top HP ENVY 15t configuration with the quad-core Intel Core i7-6700HQ processor with Intel HD Graphics. Let’s take a look! 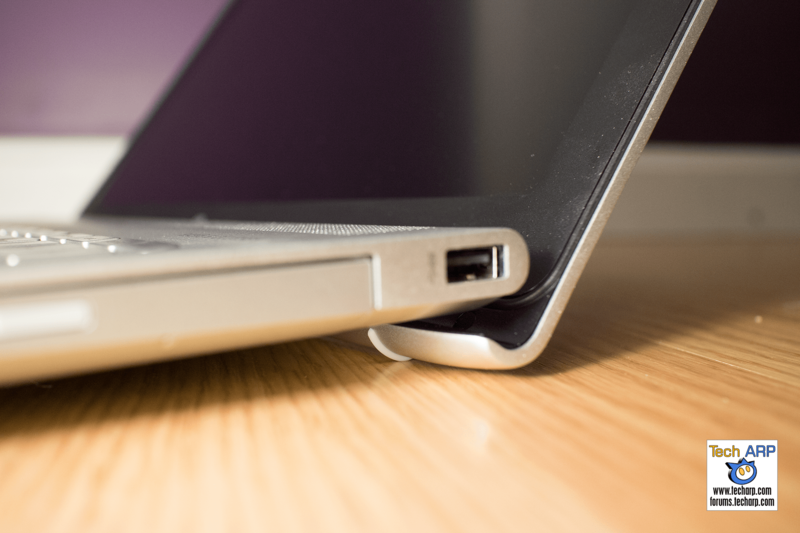 The top cover and rear display cover of the HP ENVY 15t laptop is made of aluminium. The display bezel and bottom cover, on the other hand, is made of plastic. The display bezel has some play when I press it on the top left corner. The display doesn’t sit flush against the main chassis either. I’m not sure if this is part of the design, but the gap in the middle actually helps me lift up the display. To keep the quad-core Intel Core i7-6700HQ processor cool, the HP ENVY 15t laptop has large cooling vents at the bottom, as well as out the back. There are perforations on the underside on both sides near the front – they are the vents for two of the four Bang & Olufsen speakers. The designers of the HP ENVY 15t designed the display so that it actually elevates the rear end of the laptop away from the table surface. This improves ventilation under the laptop, which is usually a dead space. On the left side, you will find the power connector, an AC/battery light, the RJ-45 network lights and jack, a HDMI port, two USB 3.0 ports, one USB 3.0 charging port, a headphone/microphone port, and an SD Card reader. On the right side of the HP ENVY 15t, you will find the Power and hard disk drive activity lights, a security cable slot, the optical drive and a USB 3.0 port. HP offers two WLED-backlit display options with the HP ENVY 15t laptop – a standard display with a resolution of 1366 x 768 display, or an IPS display with a higher resolution of 1920 x 1080. I would recommend the 1920 x 1080 IPS display. This particular laptop used an IPS display made by LG. 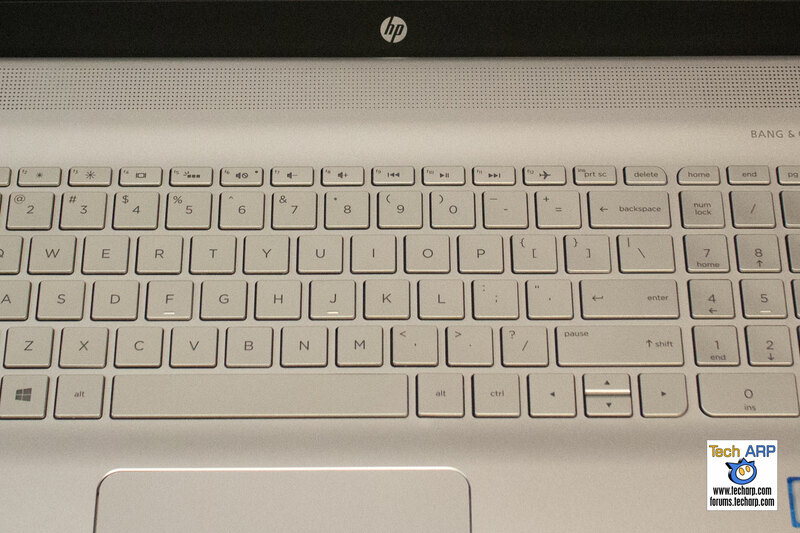 The HP ENVY 15t‘s touchpad is fairly big which is nice, but it requires too much force to click. I end up using one or two finger taps instead of the hidden TouchPad button. The back-lit keyboard came standard. No real complaints about the keyboard’s performance. The keyboard’s a little chatty, but at least it doesn’t flex. That can’t be said for their attention to detail. The keys were not centered properly – there is a noticeably larger gap on the left side of the keys. The silver-on-silver colour scheme actually accentuated the misalignment of the keys. Page 2 > Features, SSD Upgrade & Our Verdict!